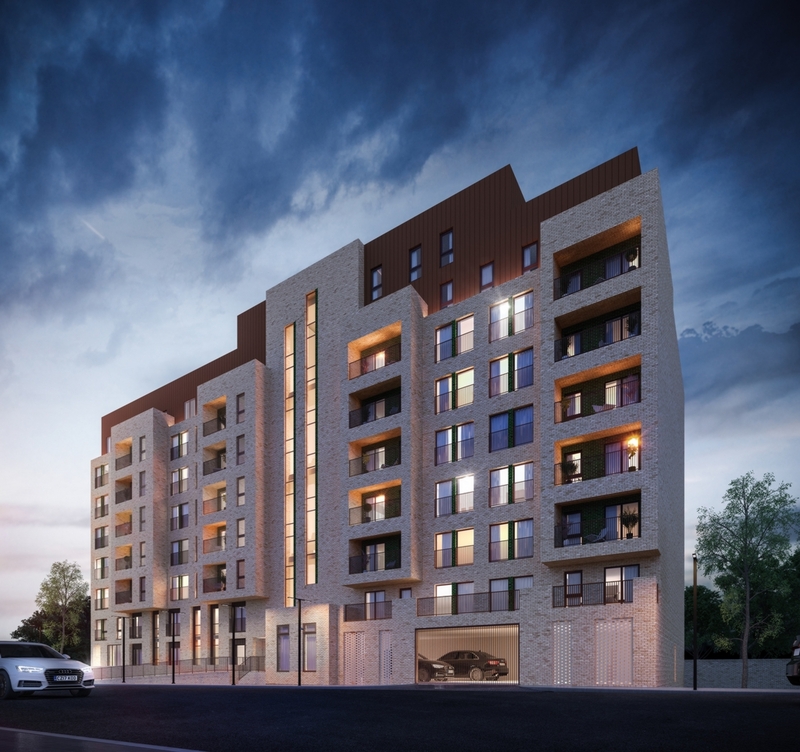 Perfectly located on the banks of the River Irwell, The Waterhouse is a new build, off-plan residential development in the heart of Greater Manchester. The high-specification nine storey building complimented with private balconies and roof terrace comprises 86 stunning waterside apartments affording impressive city and water views. The Waterhouse offers a range of well-appointed one, two and three bedroom apartments together with two bedroom duplexes and stunning two and three bed penthouses all designed to the highest standard to provide residents with luxury waterside living. The Waterhouse offers a ange of on-site amenities, gymnasium and communal lounges that provide adaptable contemporary space, be it for watching movies, gaming or social gatherings. Landscaped rooftop gardens allow residents to relax overlooking the river and enjoy their own private outside space away from the bustle of modern city life. An excellent range of local shops, bars and restaurants can be found within walking distance or easy bike ride with on-site cycle storage provided. Residents can easily access Manchester city centre and Salford Quays/Media City by foot and are well connected by public transport with frequent bus services throughout the day. Call our investment team today on 0330 223 0331.